When it comes to working out, motivation plays a big role in achieving the best performance. Combine this with with wearing the best apparel and you’re on to a winning combination. It is important to know that the right attire is highly beneficial. I am not referring to wearing the latest fitness brands or names but rather having the best type of training apparel to wear. Saggy sweats shirts and clothes with 100 percent cotton won’t cut it. They may not be the best option to wear due to the fact that they aren’t comfortable and they don’t allow the level of flexibility and movement that comes with the right training gear. 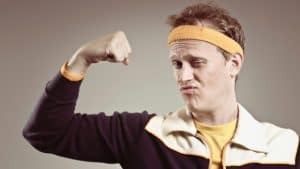 Ever wonder why frequent gym goers are dressed to the nines in training gear from shorts to gloves, wrist wraps and knee straps to shirts? Tip – It’s not to just look good. The right type of clothes will help to eliminate sweat, allow you to move freely, and protect the delicate and sensitive parts of your skin. Gone are those days when people wear baggy clothes to the gym. Right now, the need for fitted clothes is important in modern gym sessions. For workouts like Yoga, Olympic weightlifting, etc. you need the right CrossFit attire to attain success and give the instructors a better idea of your posture. With the right CrossFit shirt, an instructor can give you helpful tips on how to improve your movements. For instance, when doing squats, having the best CrossFit shirts will adapt to your body without giving you any restriction. Furthermore, having the right CrossFit shirts will help protect the sensitive part of your skin from sweat. When you next go to the gym, make sure that you have clothing that is made from performance sweat-wicking materials to help you stay comfortable for the entire session. The right attire will not rub or irritate your skin particularly when you go for long sessions in the gym and it wo;; to help you stay comfortable. 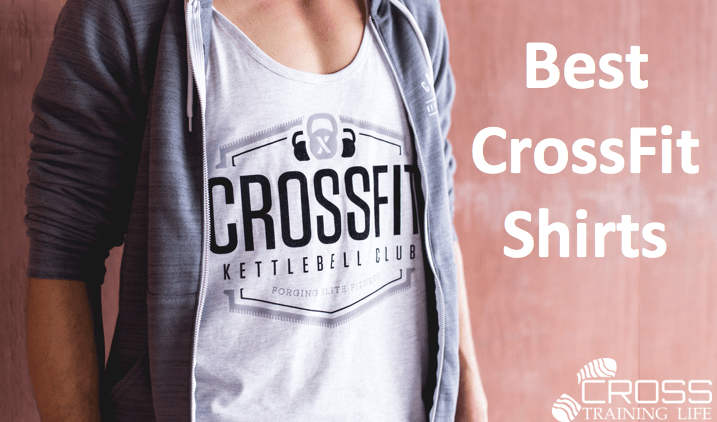 In this article, we will take a detailed look at the best CrossFit shirts for men and women. So let’s jump right in! The Under Armour Men’s Raid Graphic T-Shirt is one of the best workout shirts for men. This top is ideal for training sessions and long periods in the gym. The Under Armour Men’s Raid Graphic T-Shirt has a HeatGear fabric which is very soft and smooth when worn on the body; with this, you will experience extreme comfort. This cross training shirt is extra light. Furthermore, it also has stretch-mesh underarm and a back paneling sleeve to offer ventilation. It is also important to know that the four-way stretch fabrication allows you to move freely in any direction that you want. The Under Armour Men’s Raid Graphic T-Shirt has a moisture transport system which helps to dry sweat away from the body very fast. Also, the Under Armor Men’s Raid Graphic T-Shirt is 90% Polyester and 10% Elastin. From a solid brand with fully delivered quality, what more can we give but the number 1 coveted spot. Well done Under Armour, this our #1 choice for 2018. The Champion Men’s Big-Tall Powertrain Performance T-shirt is another great selection for men. This piece of workout gear is also the best for long training sessions and long periods in the gym. The Champion Men’s Big-Tall Powertrain Performance T-shirt comes in different sizes but no matter the size of your body, it is going to fit. The top also has HeatGear fabric that is soft and smooth when worn on the body. Due to the fact that this shirt is very soft, it will give you extreme comfort to perform various body movements, thus, giving your instructor easy access to monitor your body movement when in the gym. The T-shirt is made of 100% Polyester and it is machine washed. It is important to know that this CrossFit shirt has an elastic waistband with a drawstring to give you extra comfort when you wear. One of the fascinating features of the kit is that it has cool water wash material with a low heat tumble dry feature that will help to sustain the color of the shirt. Another good CrossFit shirt for men is the Nike Legend 2.0 SS Tee Men’s T-Shirt. This shirt a product of Nike and it is suitable for the gym. The Nike Legend 2.0 SS Tee Men’s T-Shirt is a comfortable shirt to wear due to the fact that the fabric is soft and sleek, thus, giving you a great fit when on. Furthermore, this top comes in many different colors and size. No matter your body size, there’s a size that will will fit you and will offer you free movement when you jog and perform different exercises in the gym. One major feature of the Nike Legend 2.0 SS Tee Men’s T-Shirt is that it protects the delicate parts of the skin from sweat. This shirt is specifically made for men and it is also a good choice for every man that wants to achieve the best performance in the gym. Yet again another Under Armor top that delivers and makes it into our top 5. This t-shirt is fitted and comes in multiple sizes and many colors. Just as we’ve stated in this article, the Under Armor Men’s Tech V-neck T-shirt gives its user a comfortable feel when worn. In addition, this CrossFit shirt comes with a UA Tech fabric which helps to make you stay dry after long periods of training. The Under Armor Men’s Tech V-neck T-shirt is ultra-soft and it has a much more natural feel. 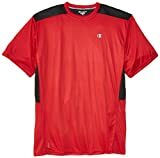 The Under Armor Men’s Tech V-neck T-shirt also has a Moisture Transport System that will also take away moisture from the body and help protect the sensitive part of the skin. A good performance in the gym can never be achieved without getting the best attire around. With this in mind, one of the best workout shirts for training sessions is the Baleaf Men’s Cool Dry Skin Fit Long Sleeve Compression Shirt. This long sleeve-shirt is one the best choices for long training sessions in the gym; this is due to the fact that it has a comfortable feel when worn. Furthermore, the Baleaf Men’s Cool Dry Skin Fit Long Sleeve Compression Shirt is made up of 90 percent Polyester and 10 percent Elastin. However, the material used in producing this shirt allows free movement during training. This CrossFit shirt is breathable and soft. Also, it has a moisture-wicking fabric that helps you stay dry and comfortable when you train. The Baleaf Men’s Cool Dry Skin Fit Long Sleeve Compression Shirt has a stretchy and durable material that helps to improve your performance in order for you to achieve the most out of your crossfit training. For women, there are lots of training exercises that can cause severe pains, these types of training activities include jump-rope movements; this is one reason why good quality gear like the Under Armor Women’s Twist Tech V-Neck is a good choice during training. This top is very soft and it comes with a UA Tech fabric for optimum comfort. It is also important to note that the Under Armor Women’s Twist Tech V-Neck comes with Signature Moisture Transport System wicks sweat to make you stay dry at all times. Not only is this lightweight but it has a V-neck collar and a multitude of colors to choose from. The number #1 spot is awarded to Under Armor who have done a fantastic job on delivering to the training market. 5 stars for this shirt. For an optimum performance in the gym, one of the best choices for women is the Nike Pro Cool Women’s Training Top. This is produced with Dri-Fit stretch fabric and a mesh back panel for comfort and ventilation for longer workout periods. However, the Nike Pro Cool Women’s Training Top is made up of 100 percent Polyester and it is also 100 percent authentic. In addition to these points, this CrossFit shirt also has Moisture Transport System Wicks sweat to make you stay dry all through your training sessions, thus, protecting the delicate parts of your skin. A solid workout training piece that delivers on quality and style similar to their crossfit shoe range, meaning our team have rated this in the #2 spot. Another workout top for women to get the best during long training hours is the Reebok Women’s Crossfit Recycled Triblend Short Sleeve Tee. It is important to know that this is specifically made for indoor and outdoor running and training sessions. Also, the Reebok Women’s Crossfit Recycled Triblend Short Sleeve Tee is constructed with tri-blend of poly/cotton/rayon moisture-wicking PlayDry technology. With this technology, it will help maintain a sweat free body retaining that dry feeling all day long. Top brand, top quality and recognized as such in our #3 spot. Reebok always delivering on quality. For an optimum activity in any sport, the need for Matymas Workout Long-Sleeve Shirt for women is highly important; this due to the fact that it allows a superior base layer for your training activities such as running, gym exercise, etc. and it also achieves its duties optimally as a standalone shell on warmer days. This top alone has a rugged 87 percent nylon and 13 percent spandex with flatlock seams for your comfort. When the temperature is extremely hot, this womens workout shirt will make you stay dry. With all of the rave reviews by customers online in combination with the sheer comfort, we’ve rated this in position #4. Well done Matymats. The Tasc Performance T-Shirt has a raw edge finish at the neck and hem with cap sleeves for optimum comfort. It is important to know that this top is also made up of a moisture transport system wicks sweat to make you stay dry at all times during training sessions. In addition to this, the Tasc Performance Women’s 365 Short Sleeve Crew T-Shirt is extra soft and sleek and it is made specifically for women. At #5 this t-shirt represents great value and quality at no price better on the market. We definitely recommend this to regular gym goers. There are no doubts that every sporting activity needs the best clothing to achieve the ultimate performance; this is one reason why you need to get a good gear. It essentially makes each movement you do far easier and that might mean more reps or star jumps. In this article, we have stated which are the best tops for both men and women to enjoy training sessions. (Under Armour definitely came out on top for males and females!) When you’re at your next training session, be more conscious to wear the appropriate cross training attire as inevitably you will get the most out of your training sessions.